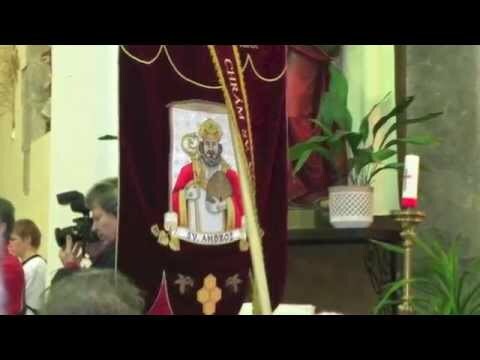 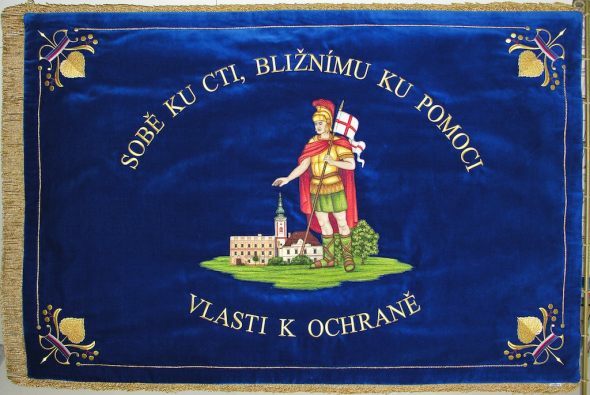 How to recognize an embroidered flag of quality? 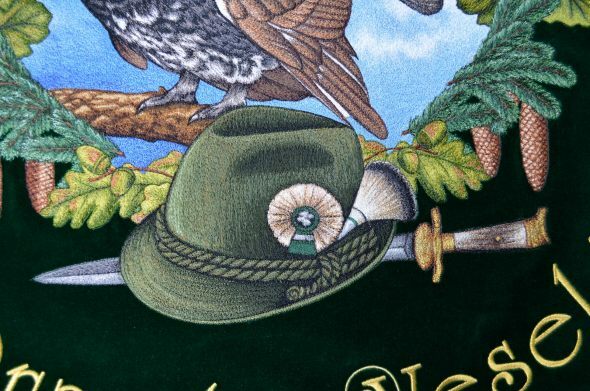 It is the detail of the motive that matters. 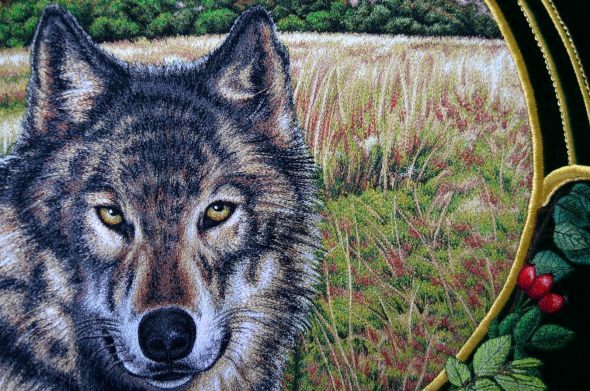 The shading looks very photo-realistic. 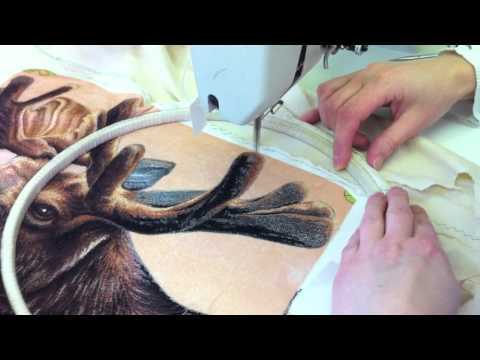 The colour transition is achieved by overlapping several shades of the thread. 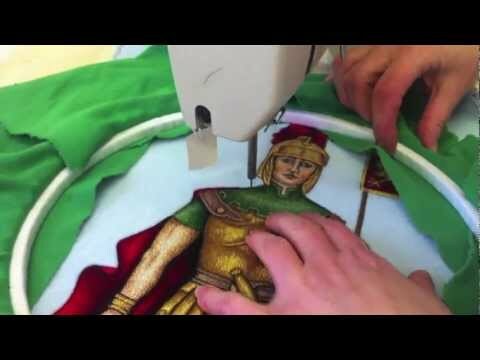 This is a very important aspect when choosing who will manufacture your flag. 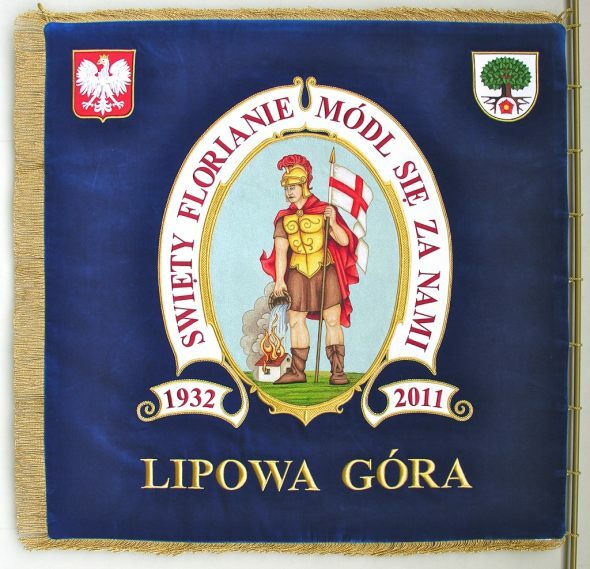 Our interior flags are made at highest possible quality, using time-tested techniques and materials. 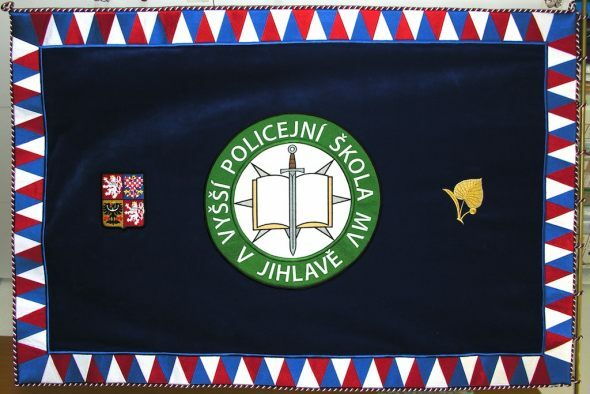 We can develop a professional design of a new flag for you, and we are able to embroider it within the scheduled date. 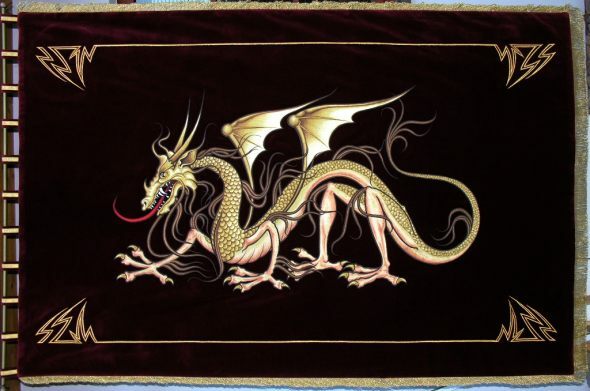 Furthermore, we can manufacture a replica according to historical samples or patterns. 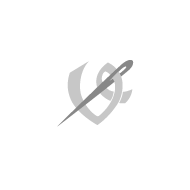 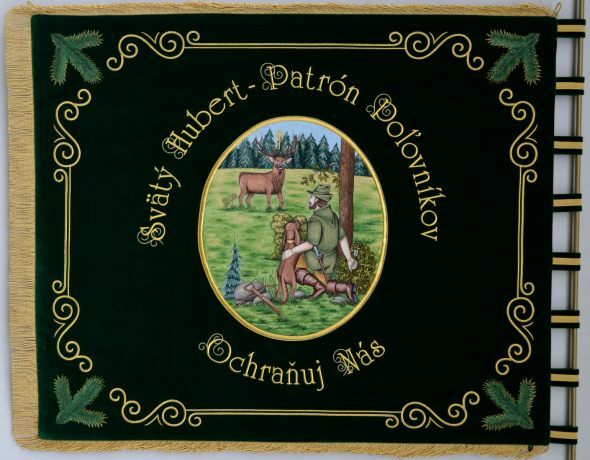 We have huge many satisfied customers who had ordered original artistic works. 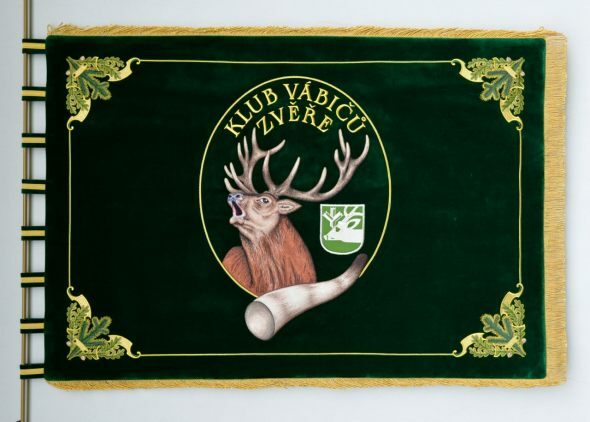 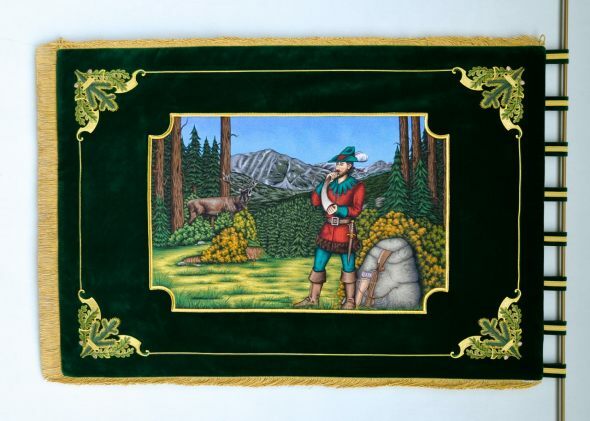 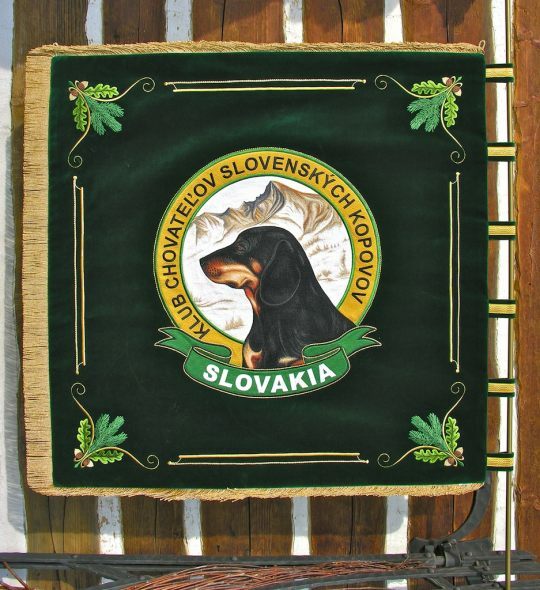 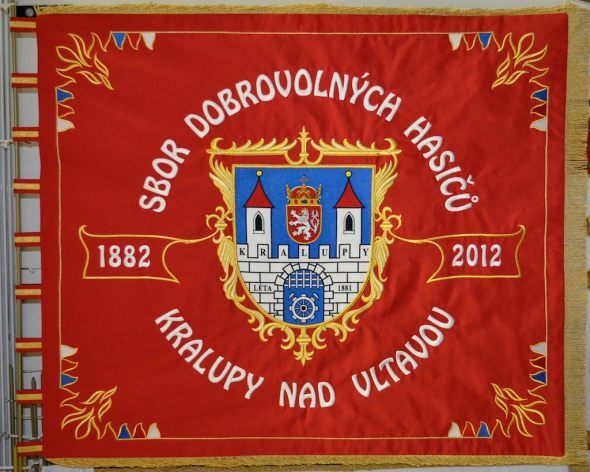 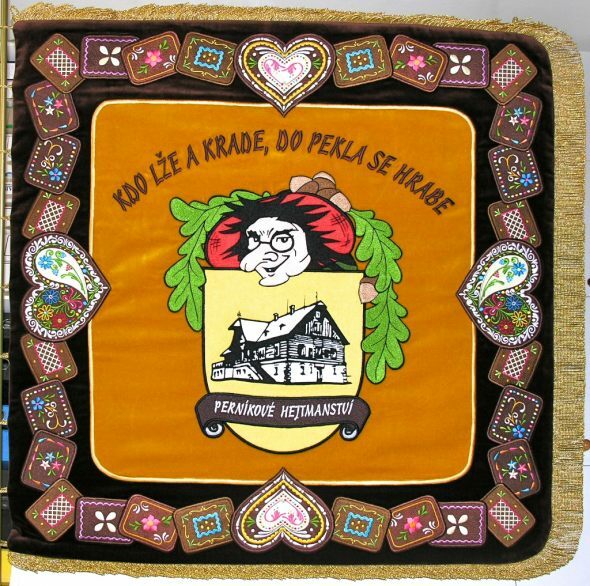 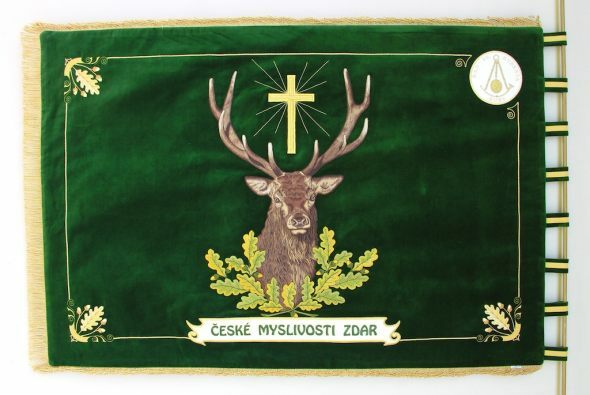 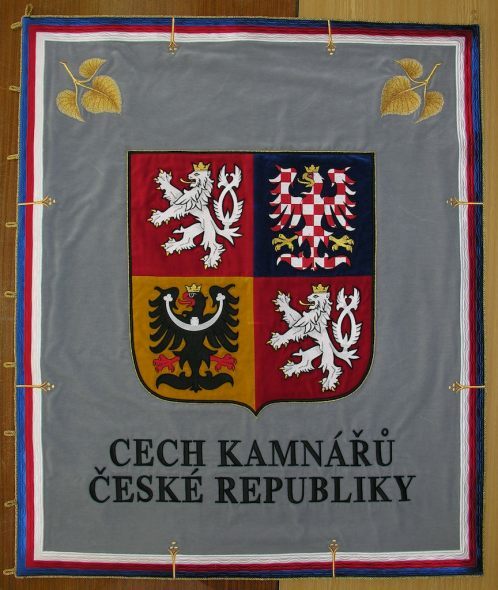 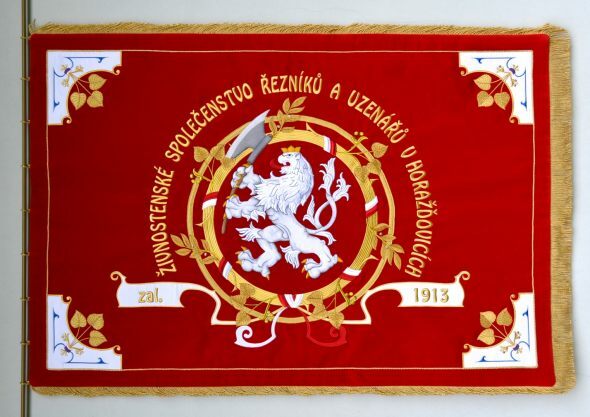 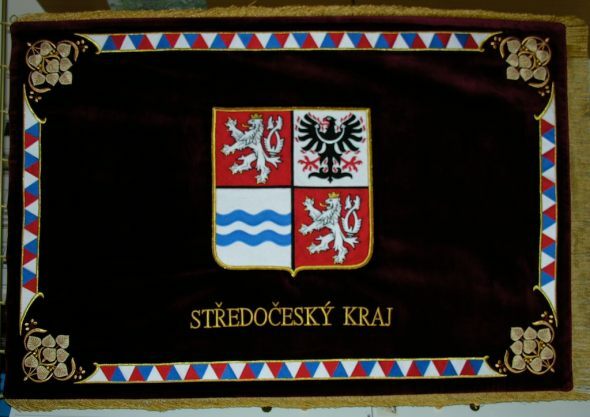 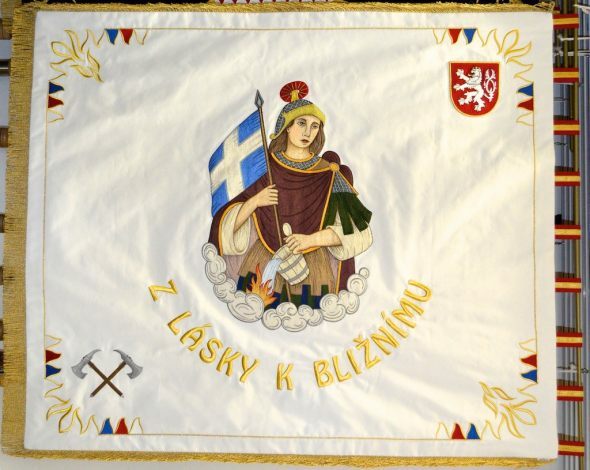 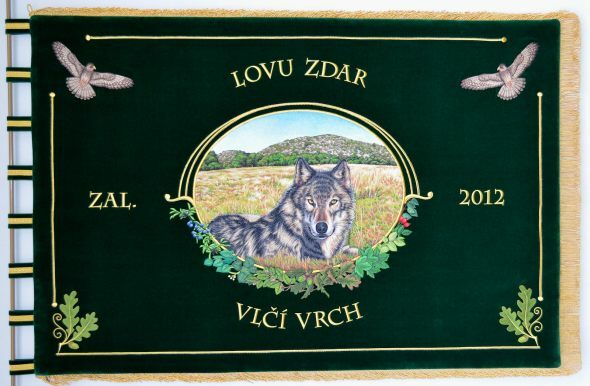 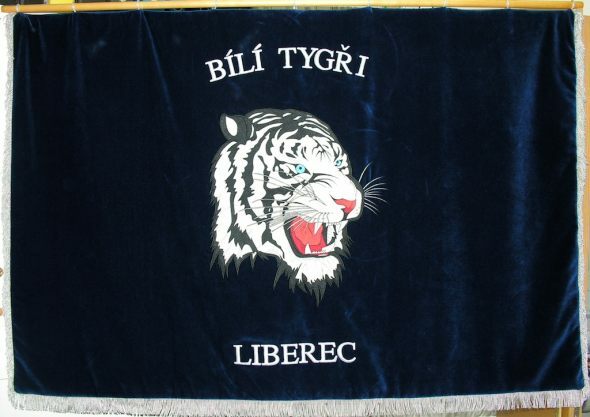 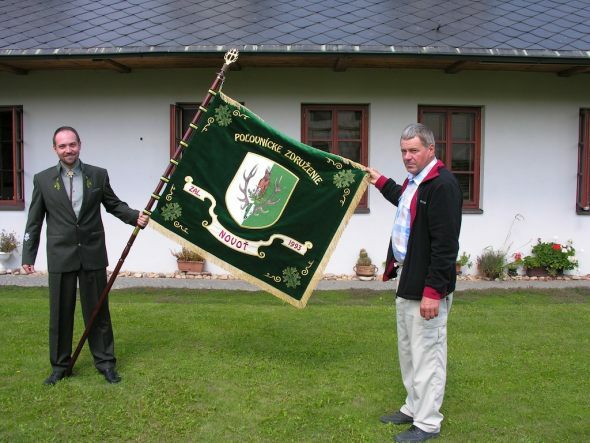 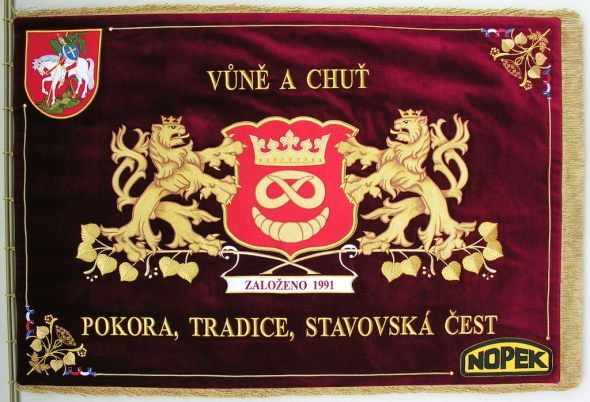 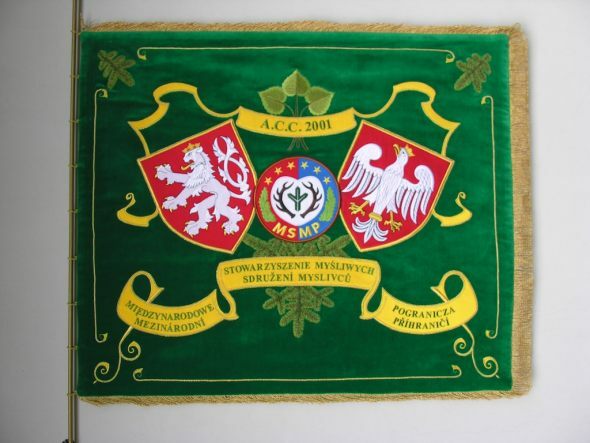 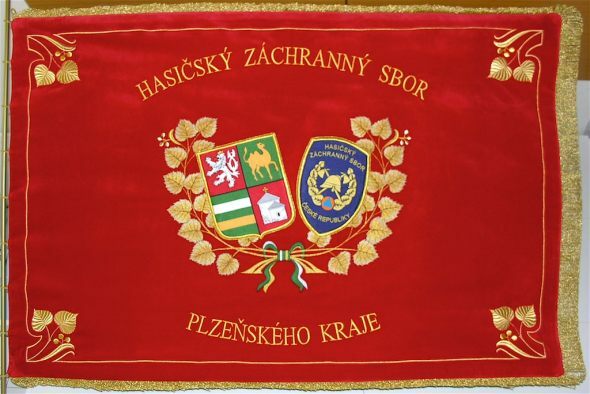 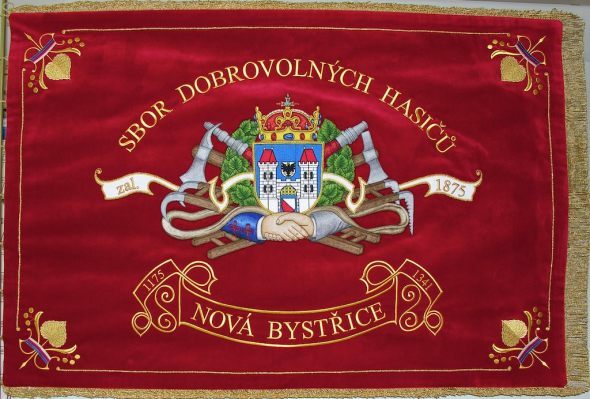 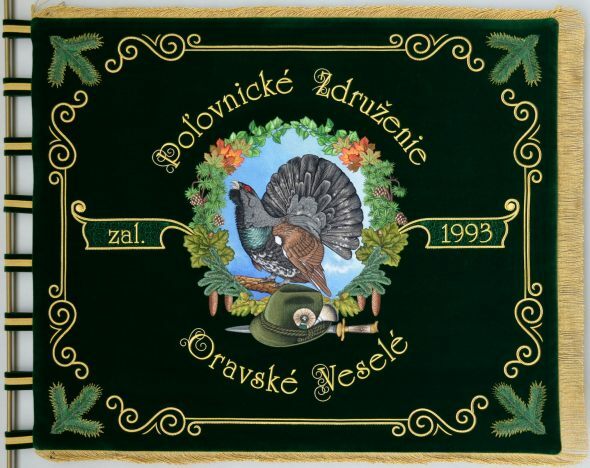 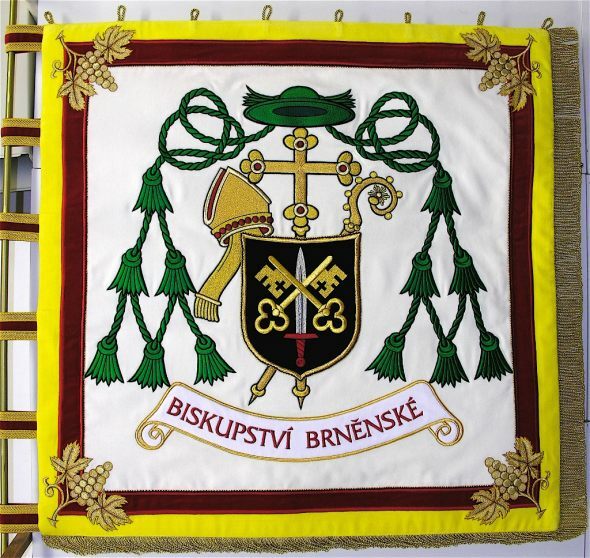 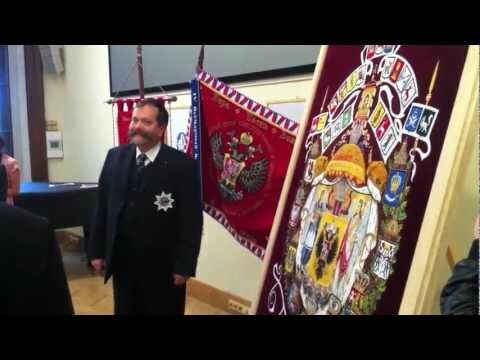 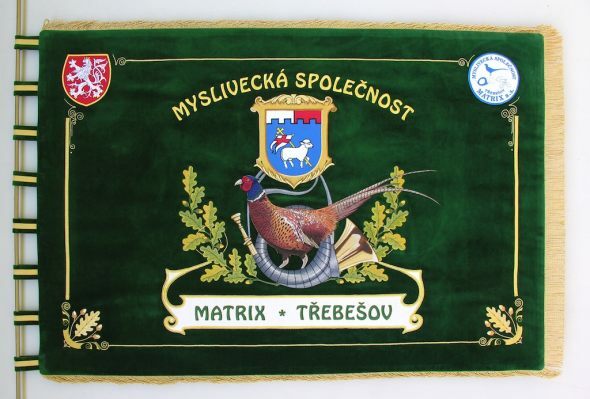 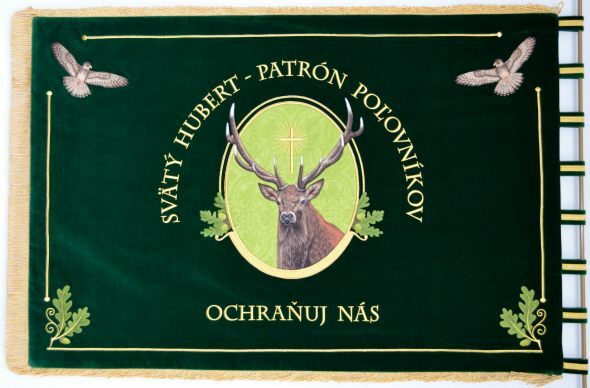 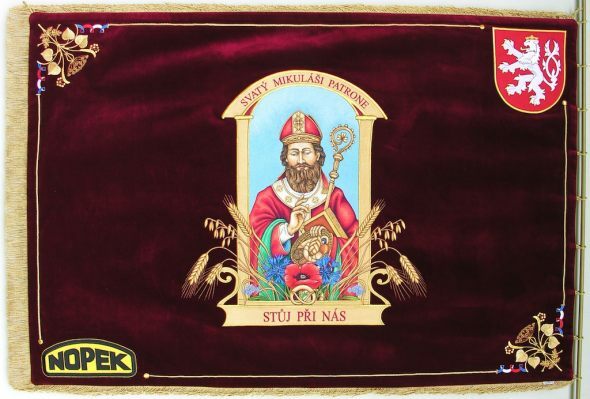 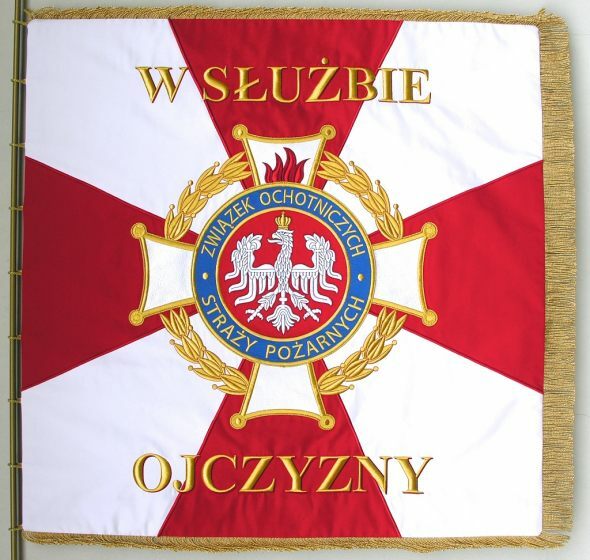 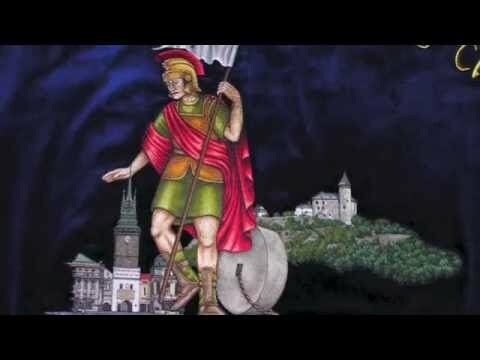 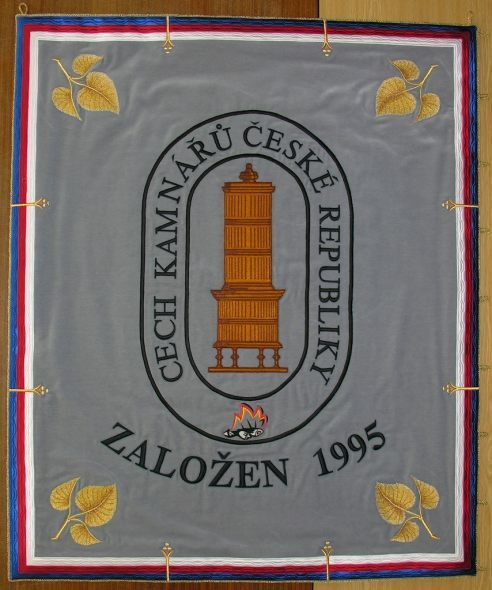 We have manufactured various city and municipal flags, as well numerous embroidered flags for fire brigades, Czech Sokol clubs, apiarian, patriotic, miners', military, police or gamekeepers' associations. 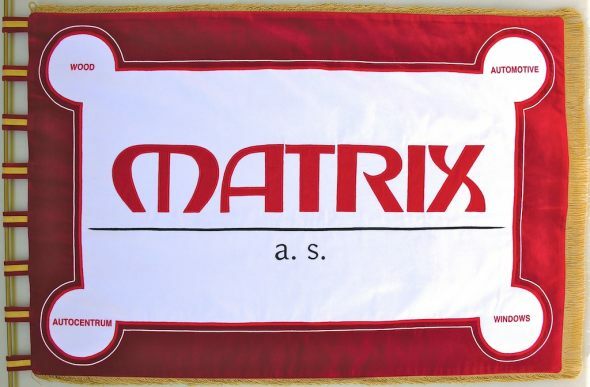 Moreover, we make flags for companies, professional associations and various clubs. 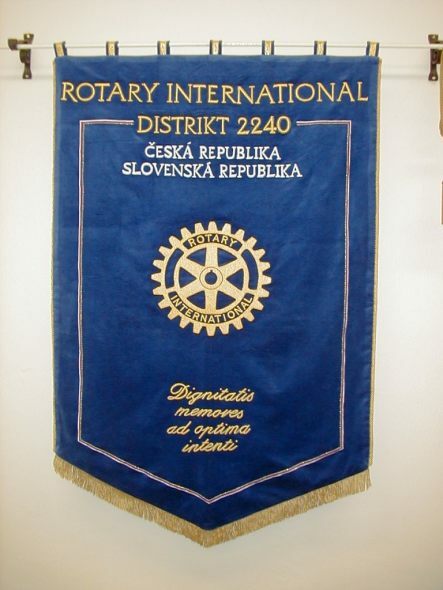 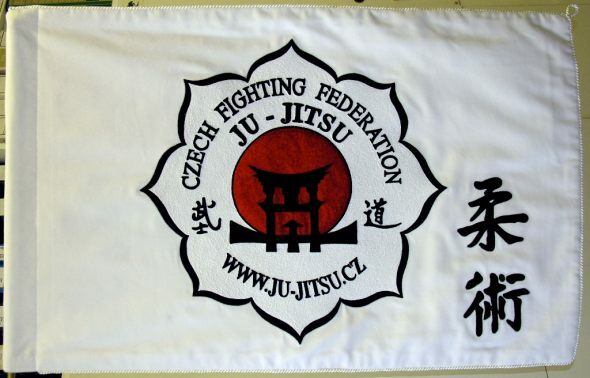 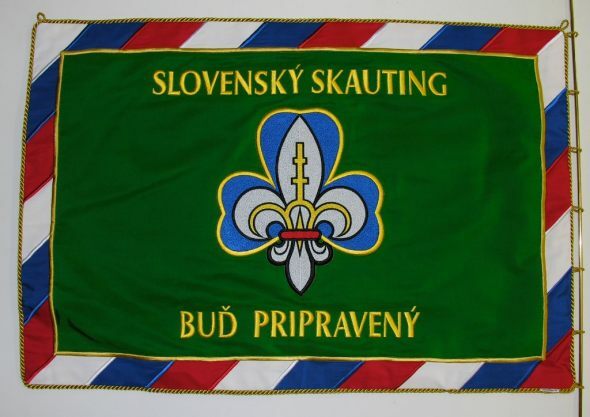 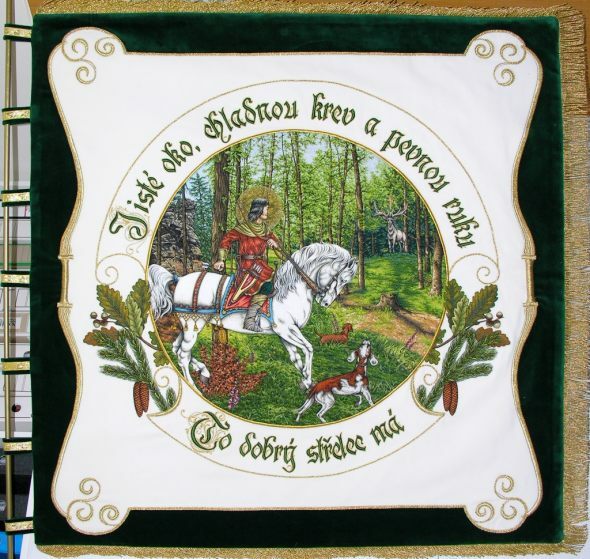 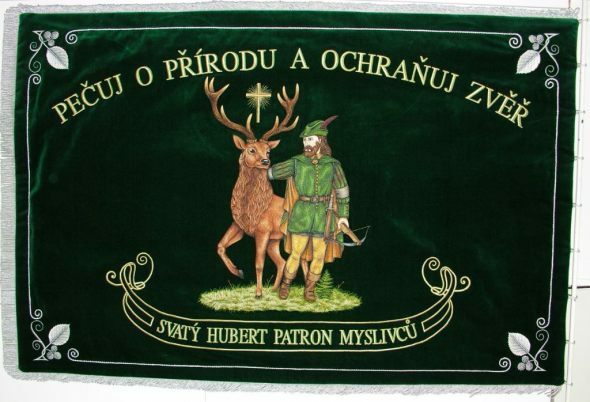 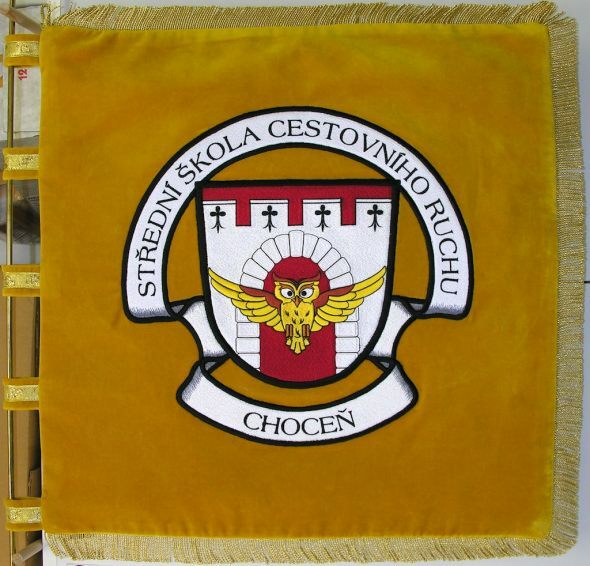 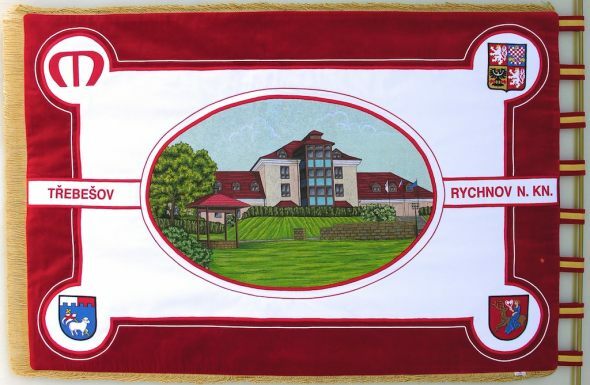 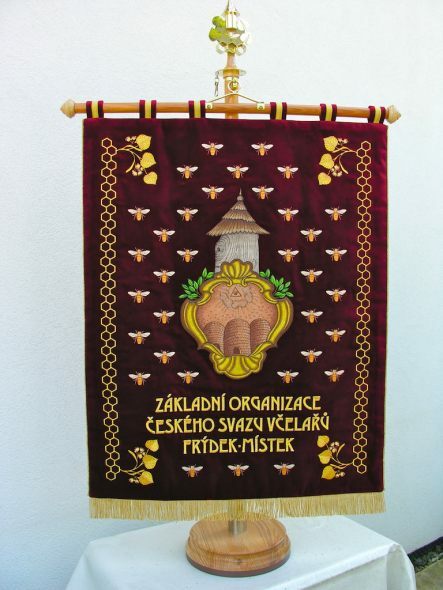 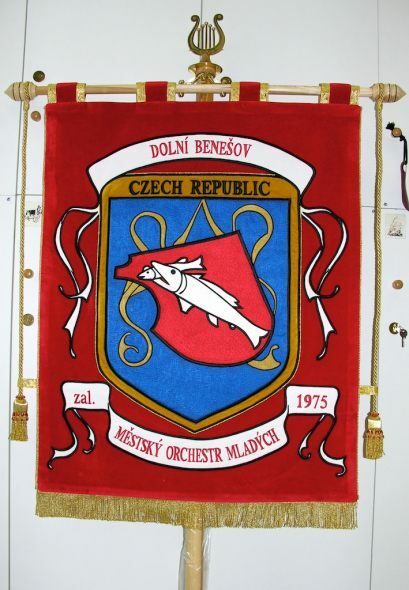 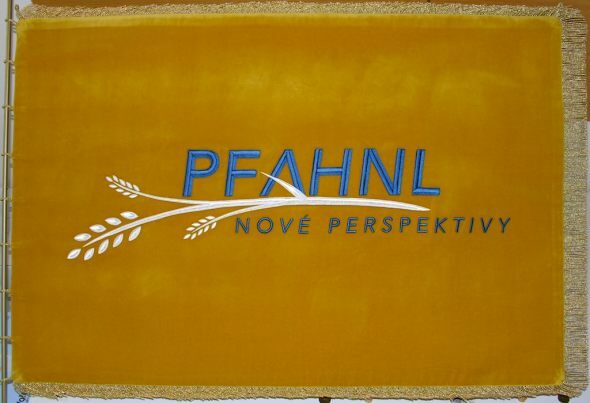 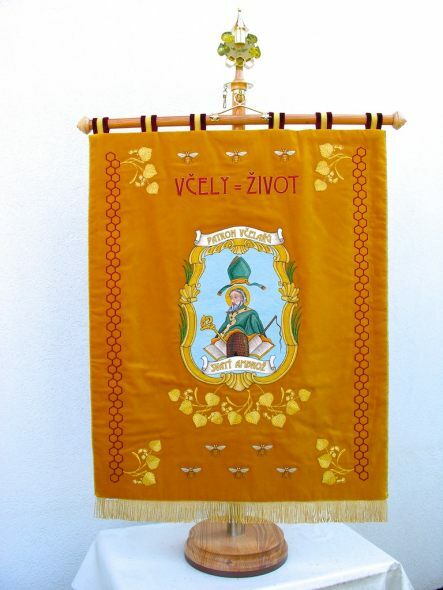 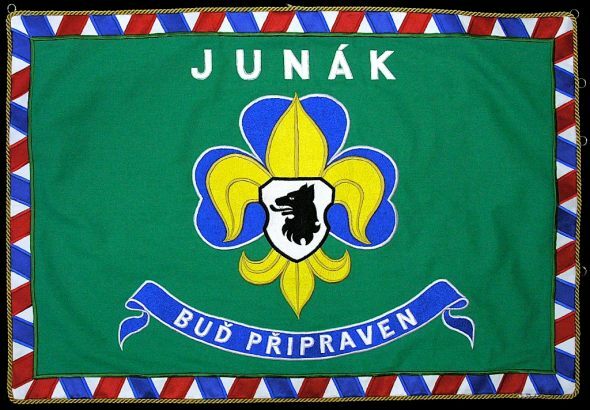 We have also embroidered flags and banners for Scout clubs, sport clubs, music bands and dancing groups, as well for other institutions and organisations both in the Czech Republic and abroad. 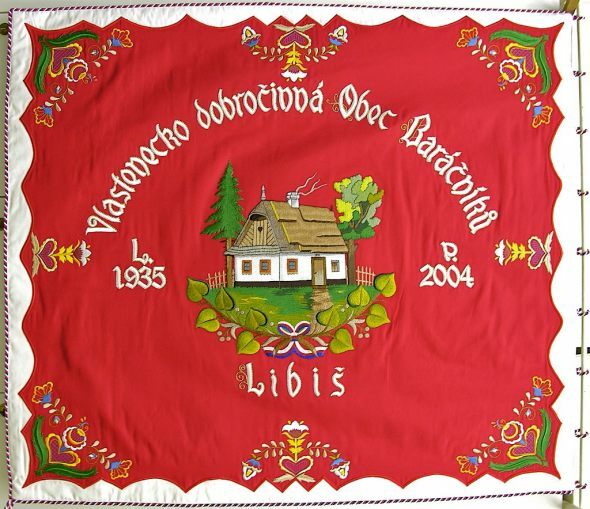 A festive embroidered flag represents its owner at meetings, social events and conferences, both local and international. 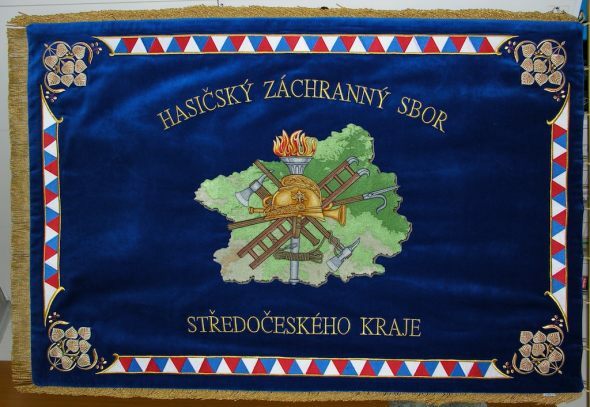 For example, an embroidered fire brigade flag is a pride of every fire brigade. 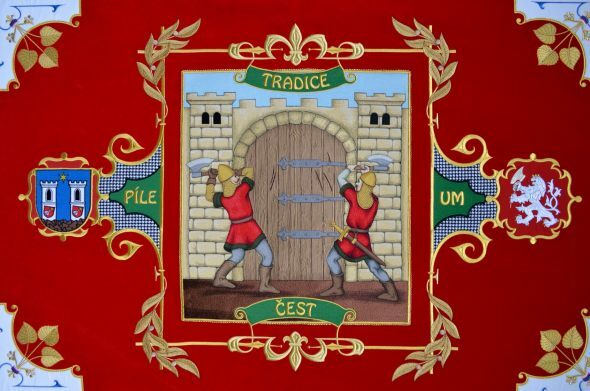 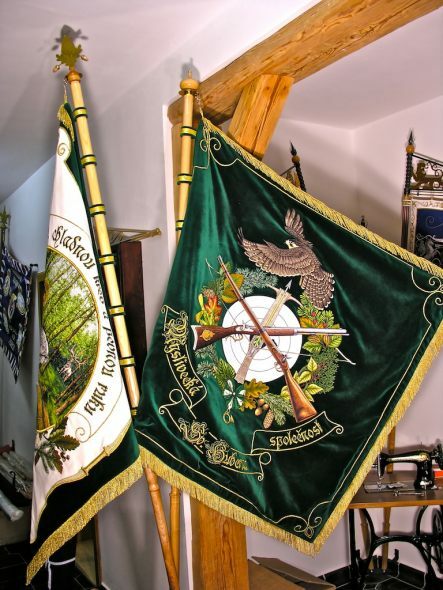 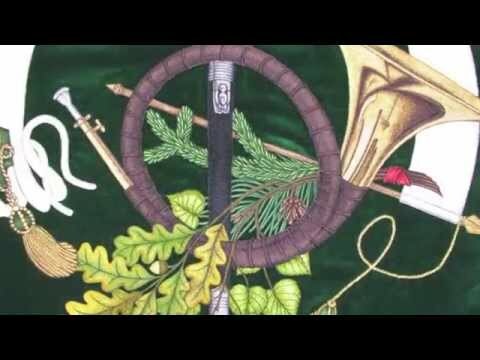 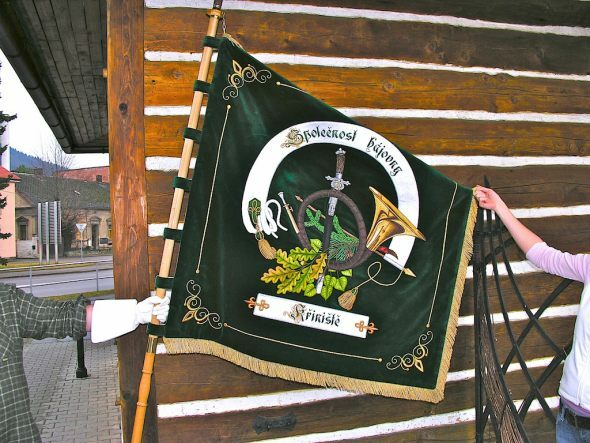 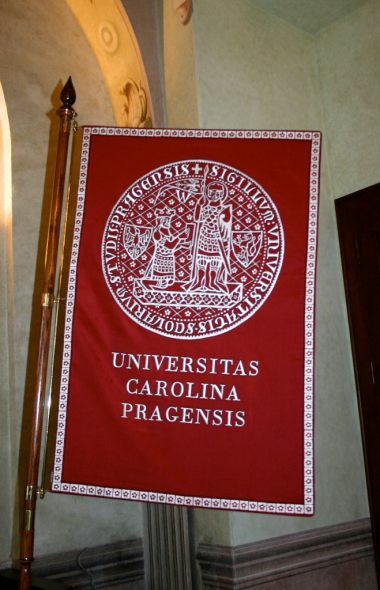 The brigades retain their flags for several generations to boast with it at contests and social events. 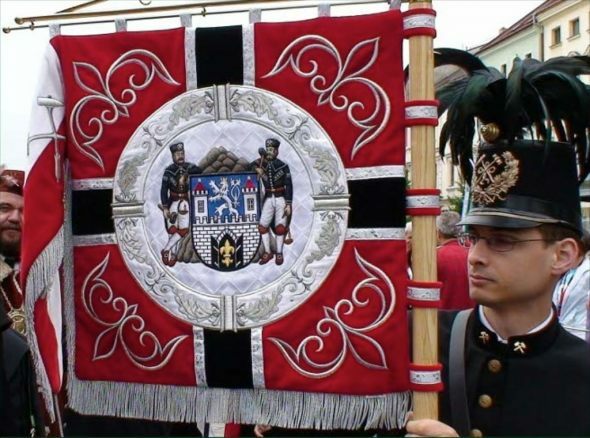 As for armies, every department or garrison keeps their embroidered banner to be used at marches or other festive occasions. 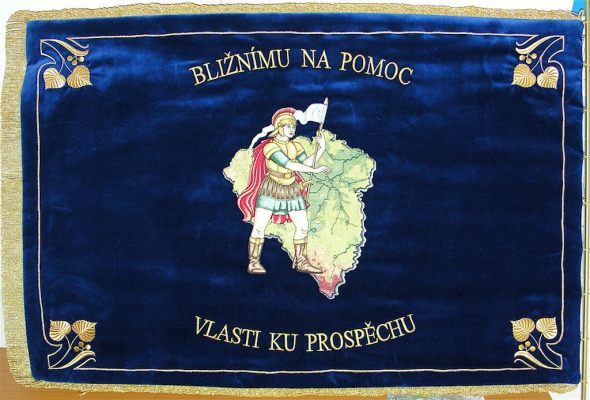 The professional design of a new embroidered flag is free of charge.